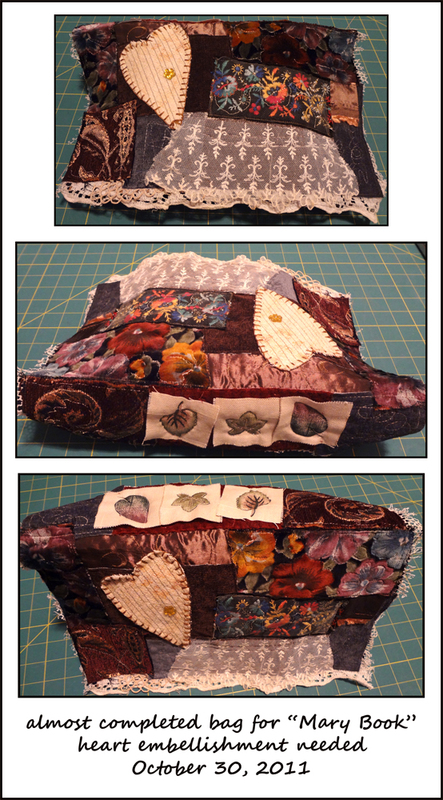 "Mary Book" bag... need to find an embellishment for the heart - otherwise, probably close to completion. Had intention to be ready for auction yesterday, but it wasn't meant to be. The book completed will be 6"x8" and 4" thick; with three highly embellished signatures and signature wraps. To date, the book covers are completed (photo transfer and painted background) and the signatures are painted (mainly acrylic and gesso). 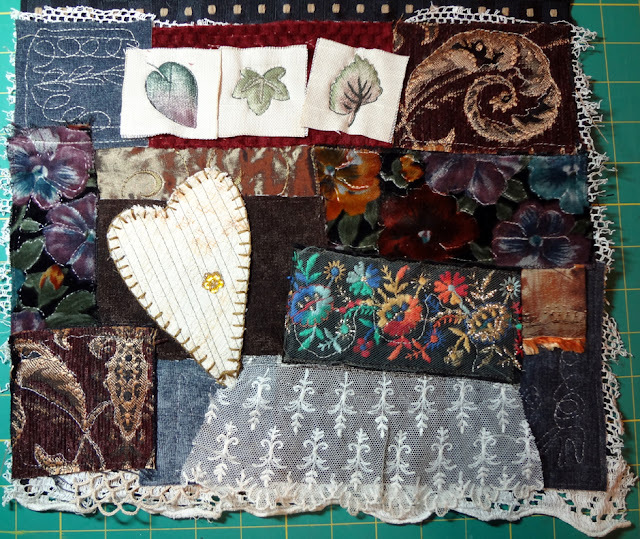 It has been exciting to find just the right aesthetically pleasing embellishments. Of course, as with these projects, I needed to learn "free motion sewing" and that class doesn't occur until the 4th of November. However, I have been doing a bit on my own. Wow! I really love this.